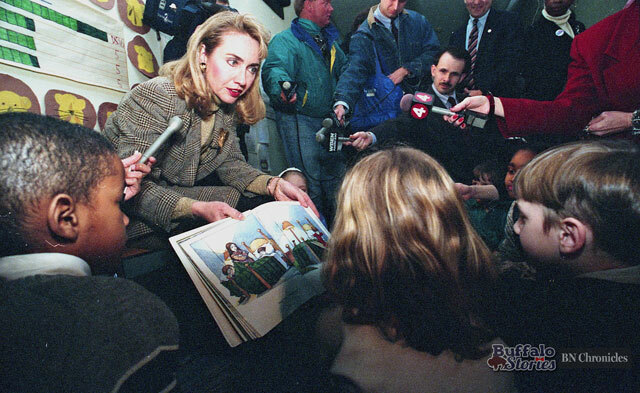 This week BN Chronicles looks back into the archives for previous Western New York visits by our current presidential front-runners. 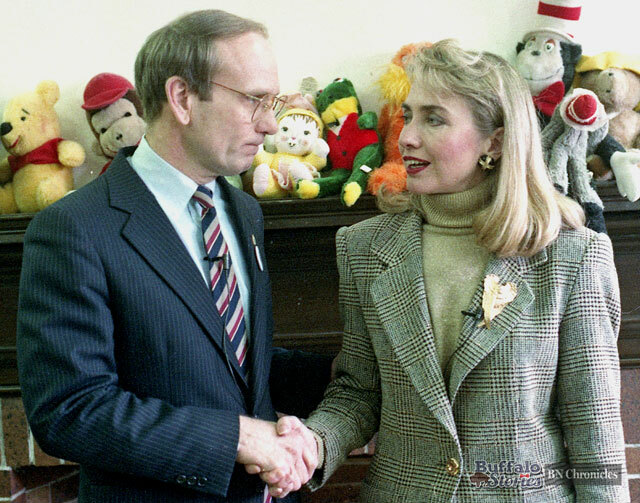 Only days before New York’s 1992 Democratic Primary, Hillary Clinton was in Buffalo campaigning on behalf of her husband, then-Arkansas Governor Bill Clinton. On Channel 7, Clinton said negative stories about her husband’s infidelity, his avoiding being drafted to go to Vietnam, and his infamous experimentation with marijuana “where he didn’t inhale” were all evidence of a “concerted effort” by fearful Republicans to derail his campaign.